How To Embed Excel Spreadsheet On A Webpage? While writing an article, presenting data in a tabular form sometimes becomes important. It can be useful to represent statistical or analytical data. Now most of us use a spreadsheet software such as Microsoft Office or Google Docs for data calculation and manipulation, but can only make do with tables - or worse, images - when representing that data online. Well today, I'll show you how to embed Excel and Google Spreadsheets on a webpage. Microsoft Excel is one of the best spreadsheet software out there. And one of the best things about it is, you get the full-featured online version at office.live.com. If you want to embed an excel spreadsheet, go to office.live.com, and create a new blank workbook. Enter some data in it. You can copy-paste data from an existing Excel file into it as well. 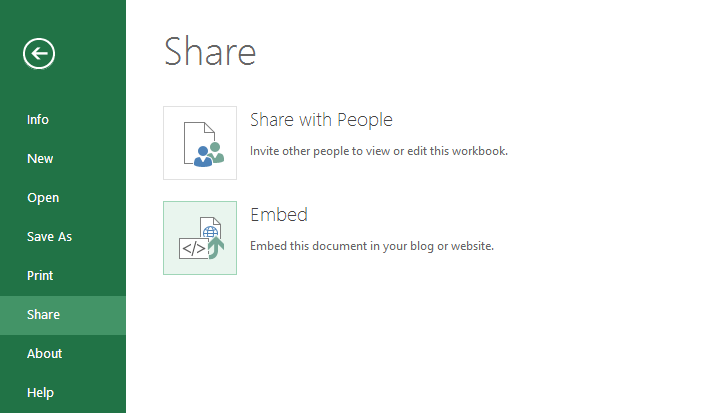 Now, go to File >> Share >> Embed >> Generate HTML. 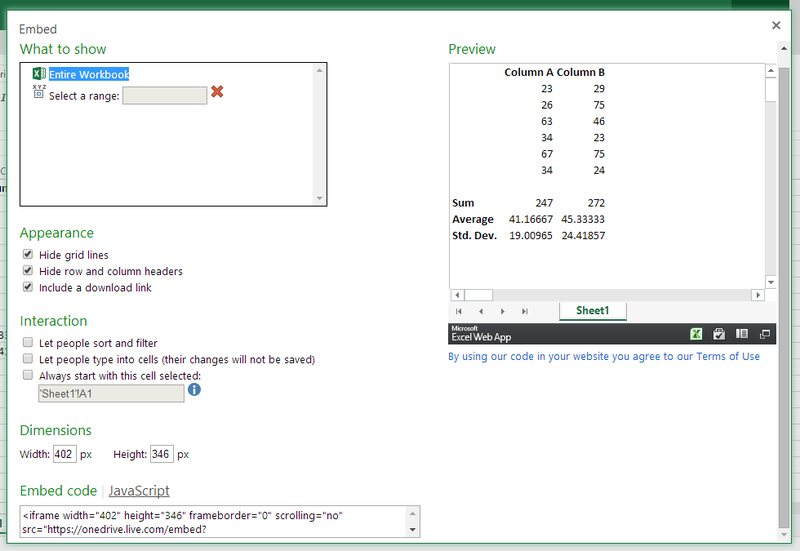 Excel Online allows you to embed only a select range of cells, so you don't have to embed the entire spreadsheet. For now, our sample spreadsheet is small, so I'll go ahead and share the entire thing. There's also an entire arsenal of options you can choose while embedding the spreadsheet. You can also include a download link in the embedded sheet. You can see a sample spreadsheet embedded below. Pretty cool, huh? I especially like the palette, You can select cells just like you do in Excel, and you can copy/paste the data as well. If you prefer working with Google Docs, then you can just as easily embed Google Sheets on your website. Like with office.live.com, you can go to spreadsheets.google.com to create online spreadsheets with Google Docs. Click on Create >> Spreadsheet. Once again, enter some arbitrary data, or copy/paste it from an existing spreadsheet. Once your data is there, go to File >> Publish to the Web. You should now see the following popup. Click on Start Publishing to get an HTML embed code. Not as neat as Microsoft's, but it'll do the job just fine!